The Center for Comparative and International Studies (CIS) stands for innovation and excellence in research and teaching in the fields of International Relations and Comparative Politics. Launched in 1997 as a joint initiative between the Swiss Federal Institute of Technology Zurich and the University of Zurich, CIS brings together scholars from the fields of Democracy, Markets and Politics, Political Violence, Security Studies and Sustainable Development, a fusion which renders it one of the leading political science research centres in Europe. The Center offers a series of inter-disciplinary graduate and postgraduate programs, as well as a number of undergraduate courses, enabling students the opportunity to engage in the full breadth of CIS research. CIS regularly hosts workshops, colloquia and conferences that bring together political science scholars from around the world. In January 1997, two International Relations professors (Juerg Martin Gabriel and Thomas Bernauer, respectively), a professor for Security Politics and Conflict Research (Kurt R. Spillmann), and a professor for Political Studies (Dieter Ruloff) together founded the Center for Comparative and International Studies (CIS) as we know it today. Together with the professor for Domestic Policies Ulrich Kloeti, the first building stones were paved and a teaching cooperation between the respective partners ensued. In next steps, the partners involved set out to define the guiding principles for CIS, including a mission statement, for an inter-disciplinary center for International Studies within German-speaking Switzerland which would span across the respective institutions where they taught. Their main points of concern included research, teaching, organisational structure, and national- and international outreach. 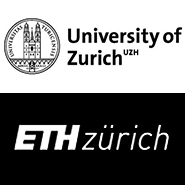 As a result of their efforts, the Center today claims approximately a dozen faculty members and roughly 150 PhD students, post-doctoral researchers and other scientific and administrative staff from the ETH Zurich’s Department of Social Sciences and Humanities, and the University of Zurich’s Department of Political Science. The Center for Comparative and International Studies is a TEPSA member since June 2016. CIS Director Frank Schimmelfennig is a member of the TEPSA Board since January 2017.